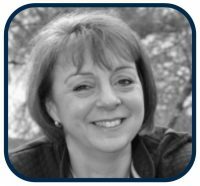 With over 25 years’ experience in management, Christine has a strong and varied background in the hospitality and tourism business, across many sectors and disciplines, from self-catering cottages to country estates, from small independent cafés to international chains, small country hotels, tourism businesses, retail and timeshare. Christine is a commercially astute and proactive hospitality and tourism professional, with an eye for detail, a flair for creative thinking and is passionate about promoting Scotland as a tourism destination, sharing our stunning scenery, warm welcome, fabulous food and drink with the World. She is equally passionate about developing a culture of excellence created by training our teams and sustainable thinking. Christine specialises in delivering WorldHost customer service training and Scottish Personal License training. NorthStar Consultancy offers tailored hospitality & tourism business support, project management, customer service and alcohol licence training and interim management cover, along with practical and common-sense advice to help small to medium business owners develop their potential in an organic and sustainable manner. We offer specialist knowledge in the niche market of timeshare, with extensive experience and contacts, including independent advice on resort development, owner satisfaction, fee management, refurbishment planning and marketing. In uncertain times and with customers’ ever-increasing expectations, it can be difficult to maintain a profitable and productive business. NorthStar Consultancy can make a valuable contribution, thinking outside the box to find creative solutions to complex problems. NorthStar Consultancy collaborates with a wealth of business associates, contacts and specialists from all hospitality disciplines. No two businesses are alike, so we offer a flexible service, tailoring our approach to meet the individual needs of our clients.